There are a lot of vegans! Behind a half avenue and almost a full block of people, we found our place in line. There are a lot of vegans in this city! The rooms were crowed and the sessions were standing room only. More and more people are interested, motivated, and even cured by the movement. 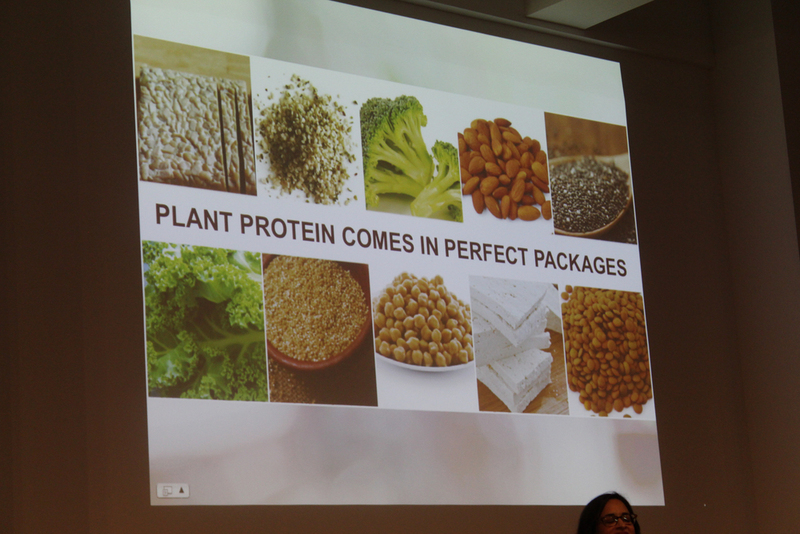 It's an exciting time to be plant-based! The speakers at this event were doctors, scientists, business owners, authors, advocates, nutritionists, members of the media, filmmakers, and TV stars, producing some of the best thoughts and ideas around human health and existence, and insights around the future. Every talk we saw was extremely eye-opening, well supported, and polished. 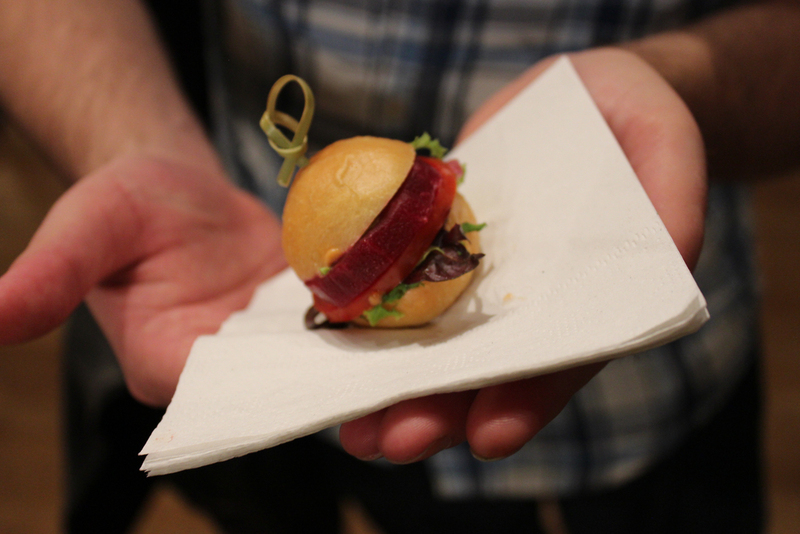 We sampled treats from all sorts of awesome veggiepreneurs doing amazing, delicious things with health food. The vendor hall was packed. There are so many companies out there coming up with innovated solutions to eating healthy in a modern world. Most of the time, I feel like I have a really supportive network who gets it. However, veg fest speakers, as well as others there I'm sure, have had to be ready to field all of the usual questions and stigmas around veganism. A lot of the popular information out there on nutrition is really out-of-date. Sometimes I feel like I have a wall to climb to get people up-to-speed. It was a nice change to feel so at home. Very happy to have attended with my co-blogger and mom, Janet. It was Mother's Day weekend! My dad, Adam, was there and so was my partner, Scott. Here is our event album. Enjoy! Crowds and crowds at the NYC Veg Food Fest. The plant-based and eco-friendly markets are booming! Reduce the demand for animal agriculture and we'll have a greener more sustainable world. Dr. McMaken reviews the 7 things that happen when you stop eating meat. Spoiler alert: They are all desirable. Yeah Dawg "hotdogs" are made out of root vegetables and sesame seeds. You get the bark without the bite. 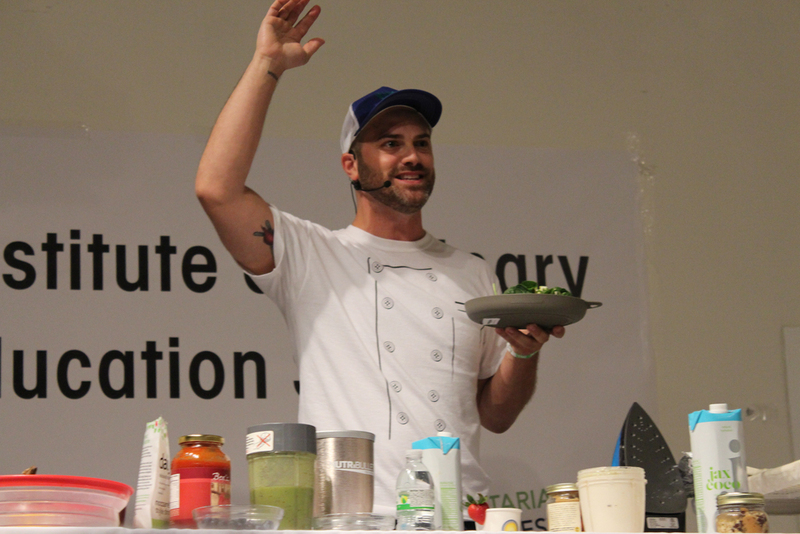 The Vegan Roadie's show is about fast, no-frills vegan cooking using your hotel iron. It has all the fun of other cooking shows, but your health gets better instead of worse. 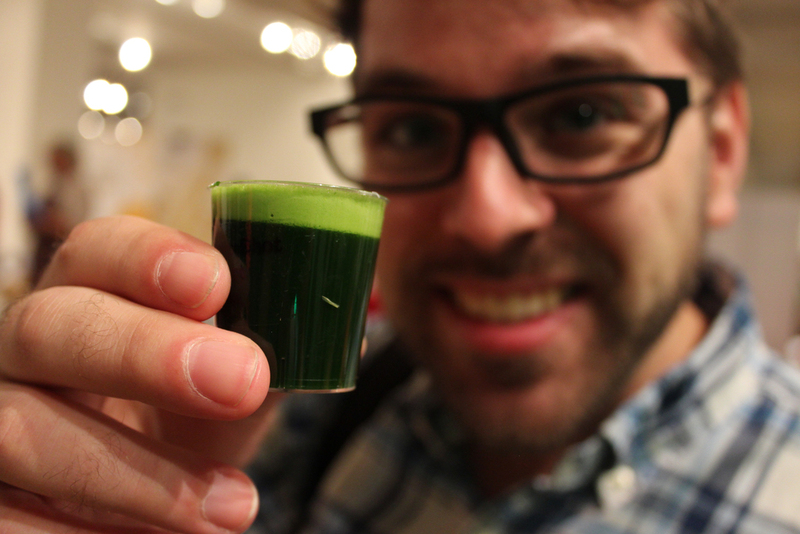 Scott's first wheatgrass shot had him on an energy high! A snap of plant-based cheeses. Beyond Sushi in NYC makes the best, wholesome, delicious all veggie sushi. We couldn't have been happier for their free samples. Blender leader Vitamix was on-site to mix up some smooth smoothies. Fresh & Co made up these tiny plant-based burgers with raw food insides. How cute! Vegan restauranteur, Craig Cochran, inspired with his story from sleeping on a yoga mat to running a successful chain of vegan restaurants. Go visit Terri in NYC! Join a community over 1,000 strong by following us on Instagram! See more pictures from the event on our social media channels and get daily updates, inspiration, tips and support on plant-based living. Tweet at us on Twitter.